Meredith Jacobs, vice president of communications and marketing for Jewish Women International (JWI) is an award-winning journalist and former editor-in-chief of Washington Jewish Week. 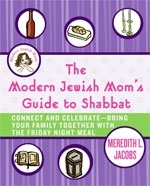 She is the author of The Modern Jewish Mom’s Guide to Shabbat: Connect and Celebrate—Bring Your Family Together with the Friday Night Meal (William Morrow Paperbacks) and co-author with her daughter, Sofie of Just Between Us: a no-stress, no-rules journal for girls and their moms (Chronicle Books, Spring 2010). 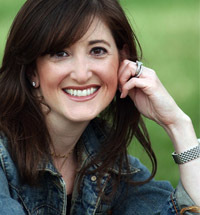 She is co-founder and editor of www.ModernJewishMom.com, now part of MyJewishLearning’s Kveller.com. Before joining JWI, Jacobs was the host of the radio show "Connecting Family" on WYPR 88.1 fm (NPR affiliate in Baltimore, MD) and the holiday television specials “Modern Jewish Mom” (The Jewish Channel). She blogged “Living Jewish with Meredith Jacobs” for Jewish Woman magazine and “Friday is Family” for Rabbi Shmuley Boteach. She stars in Beliefnet.com’s online series "Faith in the Family, was the host of “Modern Jewish Mom” for XM’s Radio Hanukkah and is the annual co-host of DC101’s “Jew Rock Marathon”. She has written for many Jewish publications including JewishLiving, Jewcy.com, 614, The Jewish Journal of Greater Los Angeles, JTA, The Baltimore Jewish Times and Jewish Woman and has been interviewed for her perspective as a Jewish mom for television and radio and in such publications as Parents, Parenting and The Forward and was featured for her challah baking in the September 2009 issue of First for Women magazine. She served as the Director of Family Programming for Sixth & I Historic Synagogue and facilitator for the Washington, D.C. Mother’s Circle (for non-Jewish women raising Jewish children). Excerpts from her writings are used in the “Student Reader” textbook for Hebrew University’s Florence Melton Mini-School Parenting Education Program (PEP). Jacobs speaks to various women’s and Jewish groups across the country and has been seen cooking potato latkes and matzo balls on TV (including NBC’s “In the Loop with iVillage”) and is a frequent guest on WUSA-TV’s 9NewsNow. Most significantly, Jacobs is wife to Jonathan and mother to Sofie and Jules.